Rare earth metals — those 17 chemically similar elements at the bottom of the periodic table — are in almost every piece of technology we use from cell phones to wind turbines to electric cars. Because these elements are so similar to each other, the process of separating them is time consuming, expensive, and dangerous. 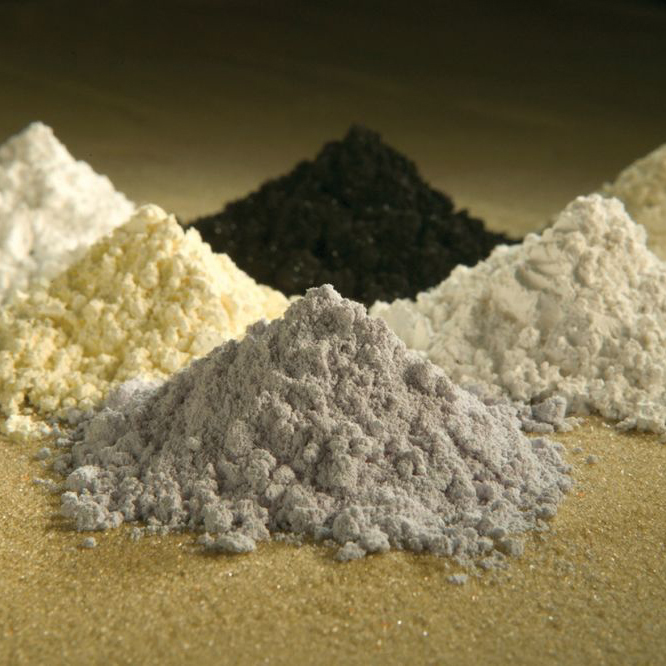 Processing one ton of rare earths can produce 2,000 tons of toxic waste. Now, researchers from the Harvard John A. Paulson School of Engineering and Applied Sciences (SEAS) may have found a clean alternative. As part of their research at SEAS, from 2009 to 2015, David Clarke, the Extended Tarr Family Professor of Materials, and his then graduate student, William Bonificio, have developed a method to separate rare earths using bacteria filters and solutions with pH no lower than hydrochloric acid. The method was recently described in the journal Environmental Science and Technology Letters. Harvard's Office of Technology Development has filed patents and is actively pursuing commercial opportunities. Current separation methods involve hundreds of steps and lots of hazardous chemicals. Clarke and Bonifico found inspiration in the living world of bacteria. Bacteria filters have long been used to bioabsorb toxic elements from wastewater or filter metals from mine drainage systems. Recent research showed that some rare earths can bioabsorb, but Clarke and Bonifico wondered if all rare earths could be filtered through bacteria. They immobilized a bacteria from marine algae on an assay filter and passed a solution of mixed rare earths (known as lanthanides) through it. The bacteria bioabsorbed all the elements as they passed — plucking them out of the solution and fixing them to their surface. Then the team pumped solutions of various pH balances through the filter. With each successive pH wash, different rare earths detached. The researchers found that lighter lanthanides, such as Europium and Praseodymium, desorbed with higher-pH washes while heavier lanthanides, such as Thulium, Lutetium, and Ytterbium, desorbed with lower pH. The team also found that if they wanted to separate only the heaviest metals, such as Thulium, which is commonly used in lasers and portable X-rays, they could block the bacteria’s receptors that absorb the lighter rare earths and only use a low-pH solution. This research was supported by the Harvard University Center for the Environment and the Office of Naval Research.